Lucy Flores, the state's Democratic nominee for lieutenant governor in 2014, said she was beside the stage awaiting her turn to address a rally when Joe Biden put his hands on her shoulders from behind, then leaned in and smelled her hair. 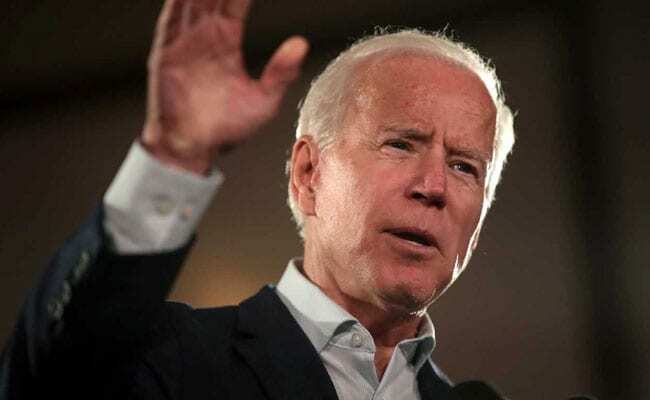 Joe Biden, who is leading polls for the Democratic presidential nomination, on Friday faced a misconduct accusation by a Nevada ex-lawmaker claiming then-vice president inappropriately kissed her before a campaign event. "My brain couldn't process what was happening. I was embarrassed. I was shocked. I was confused," and "I wanted nothing more than to get Biden away from me." It was unclear just how the accusation might impact Biden's decision to officially enter the race. Those close to the Democrat have reportedly said Biden, 76, could announce his plans in April. He added that Biden "believes that Ms Flores has every right to share her own recollections and reflections, and that it is a change for better in our society that she has the opportunity to do so." Biden's overly familiar approach with women has been a subject of discussion for years.